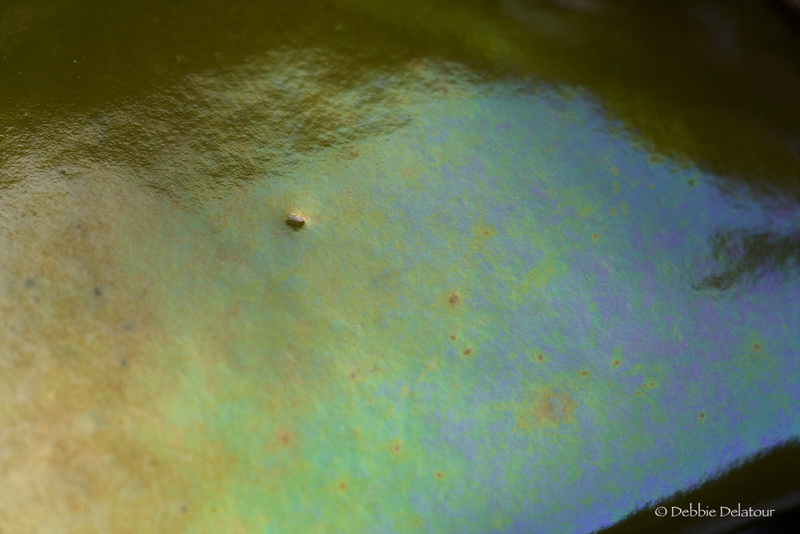 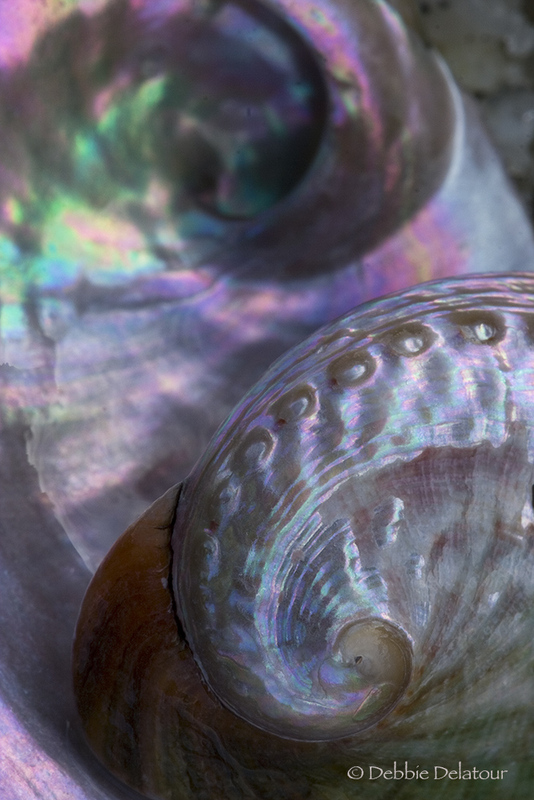 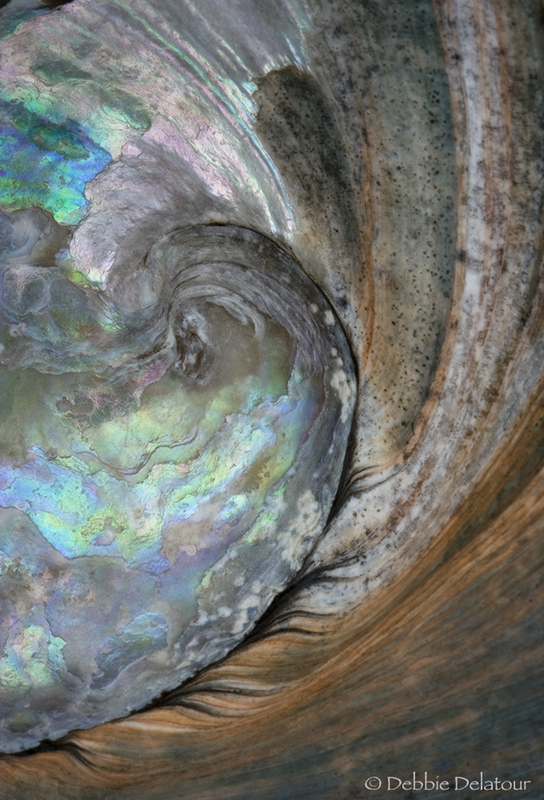 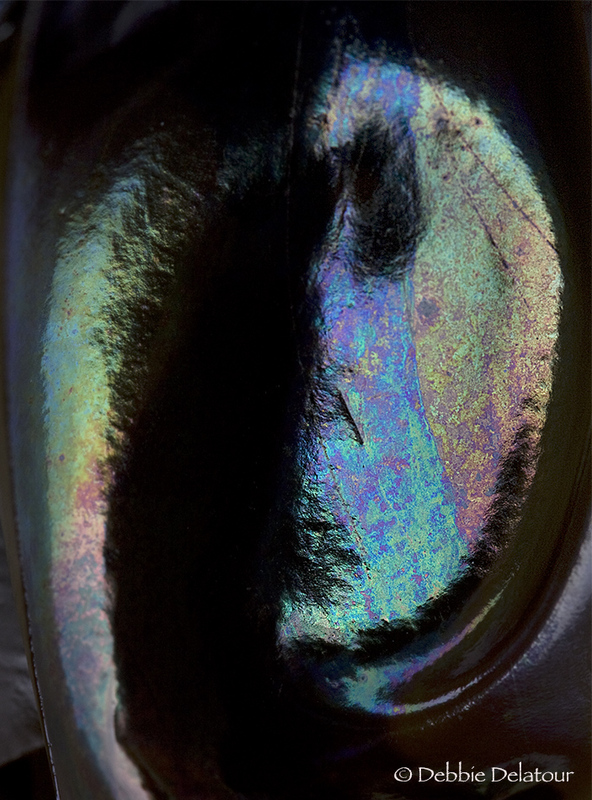 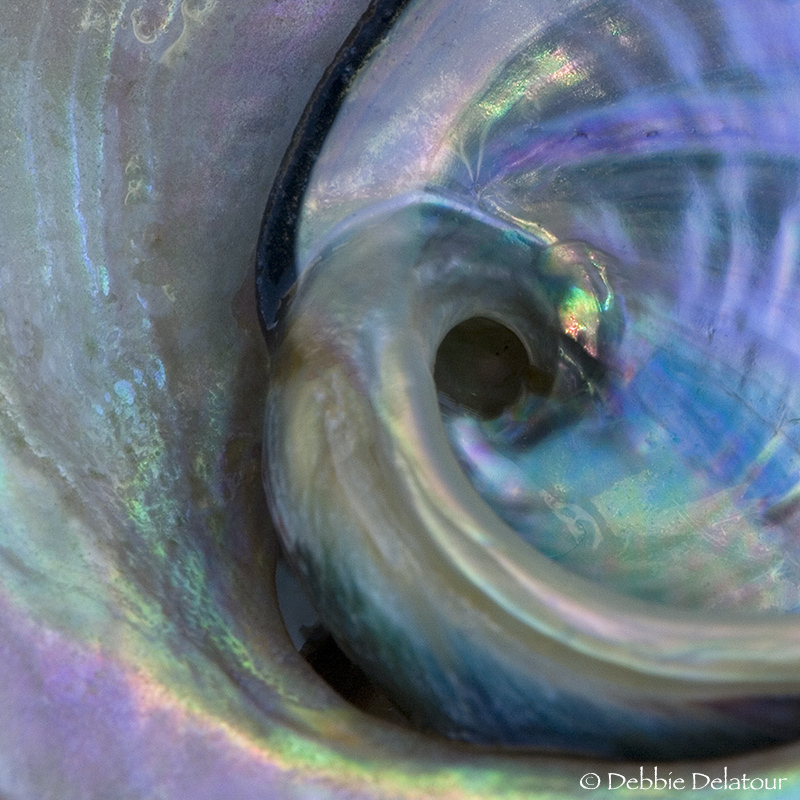 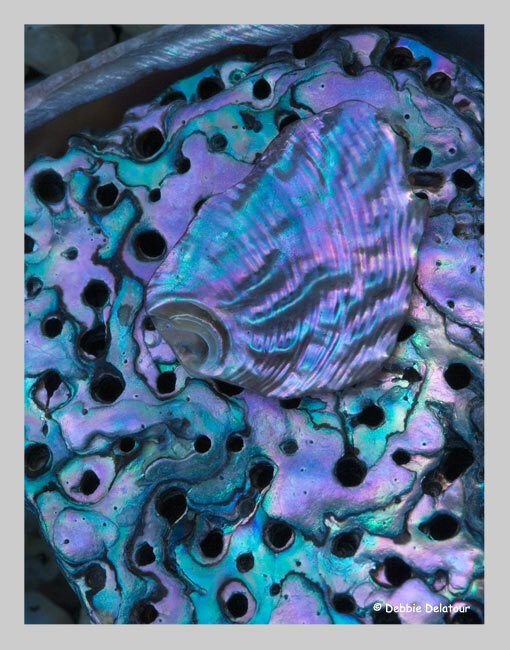 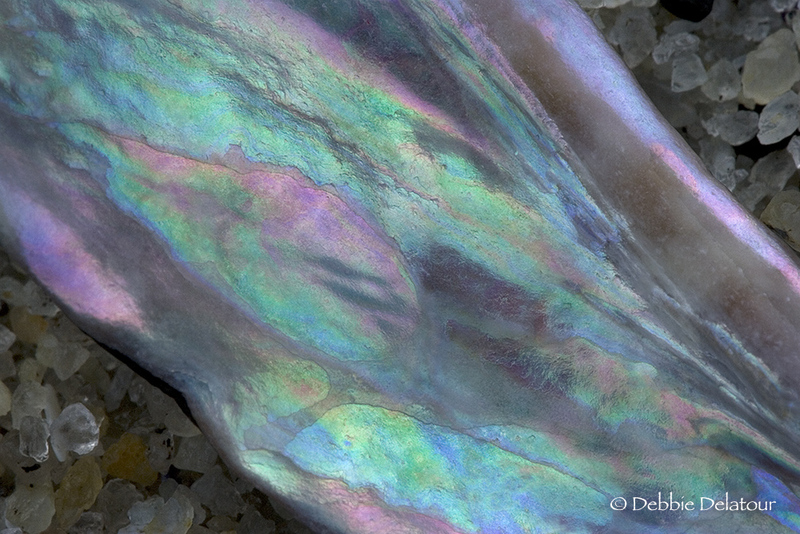 This is the back of a Red Abalone shell worn by the sea to reveal a special image. 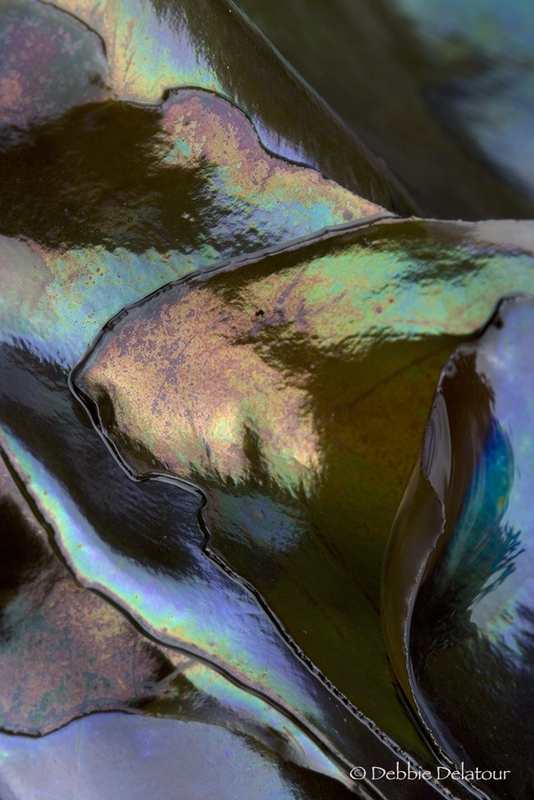 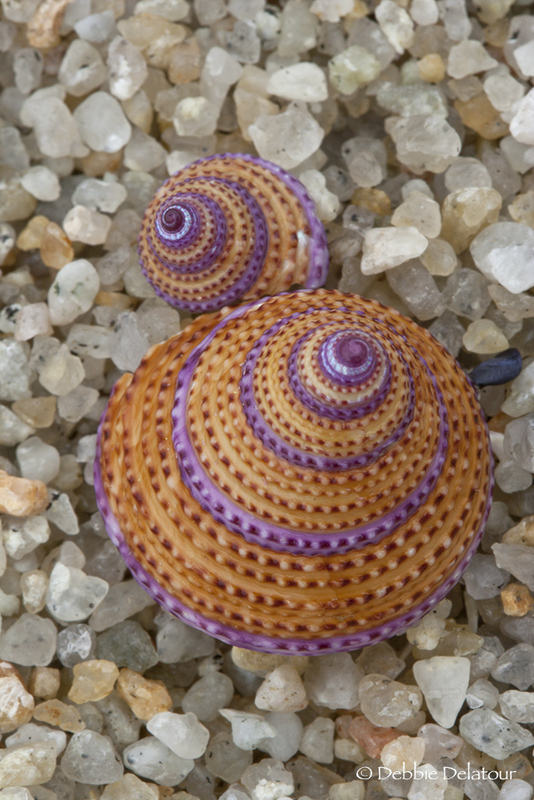 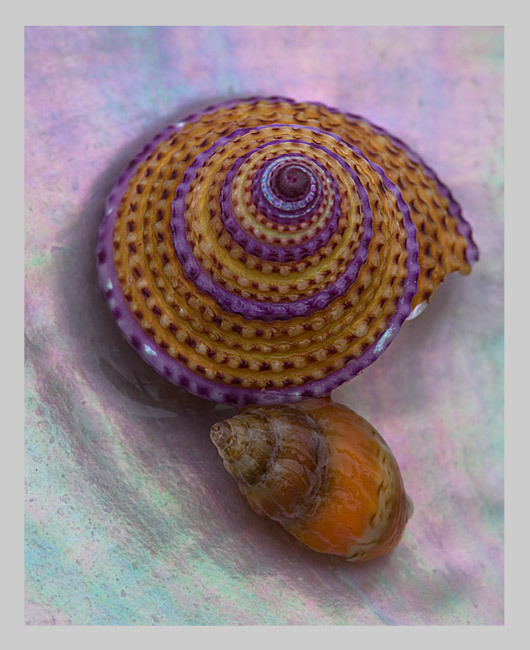 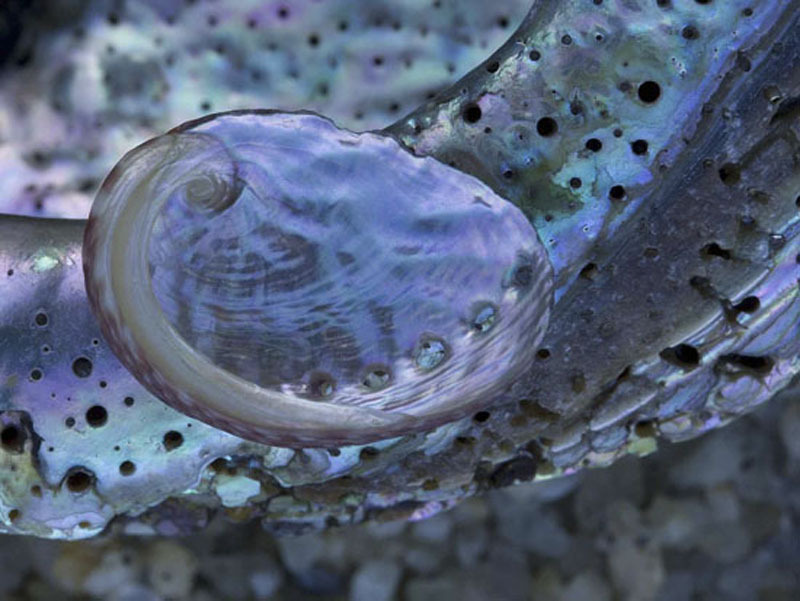 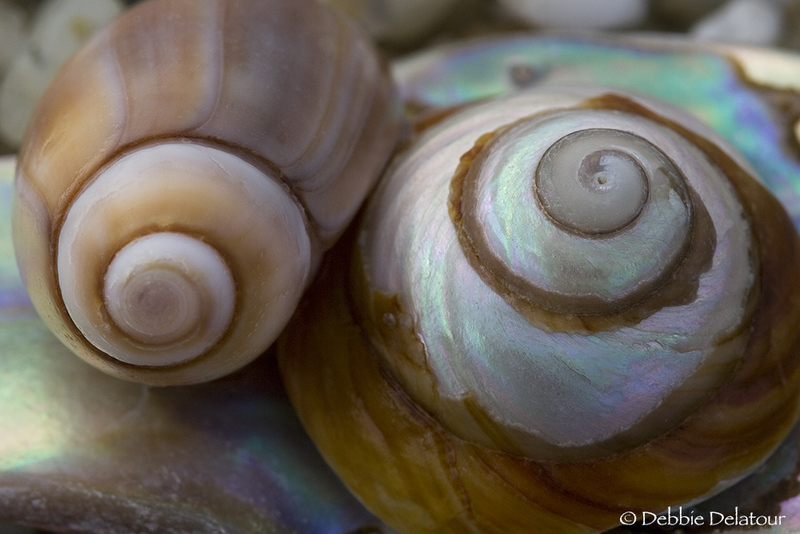 These are natural colors found on the edge of a mussel shell. 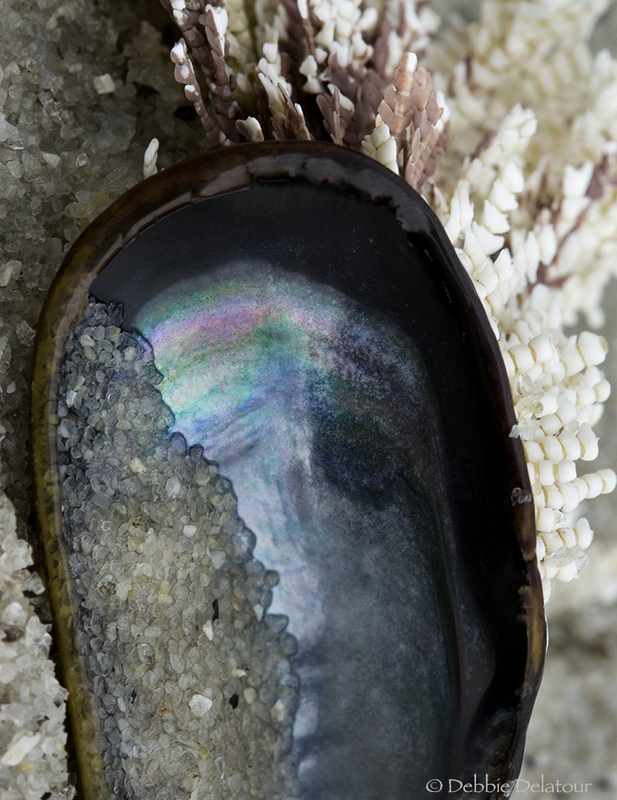 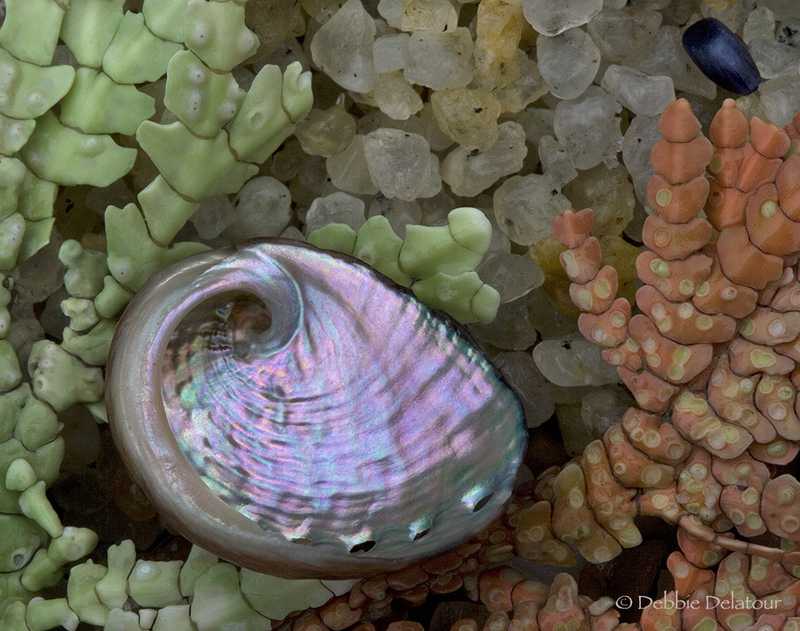 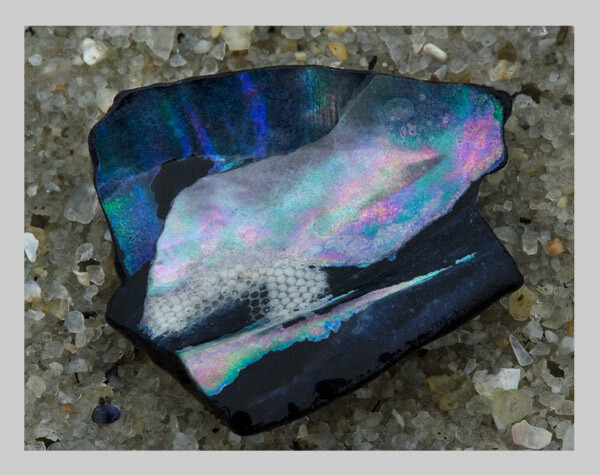 This is a tiny abalone shell resting on a piece of a very large abalone shell that washed out of the midden along the Pebble Beach coastline after a big storm. 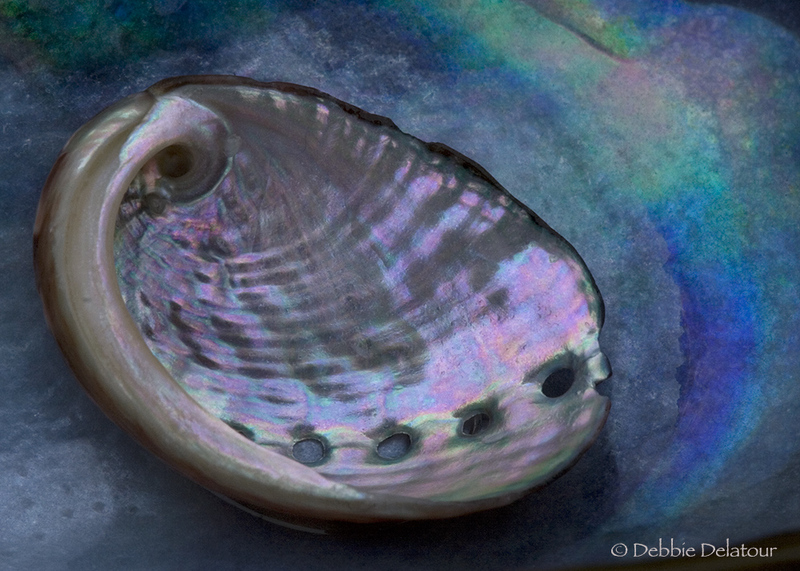 I loved the juxtaposition of time and size in the early morning light. 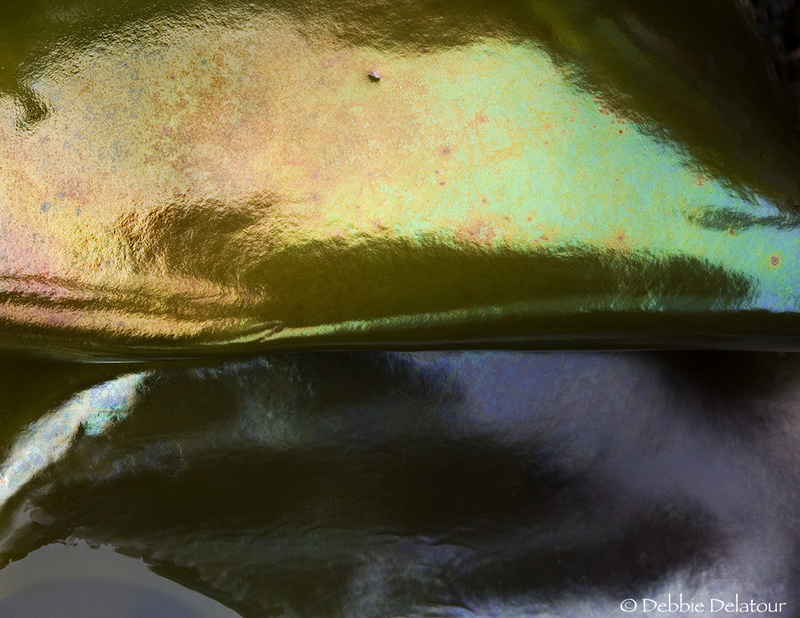 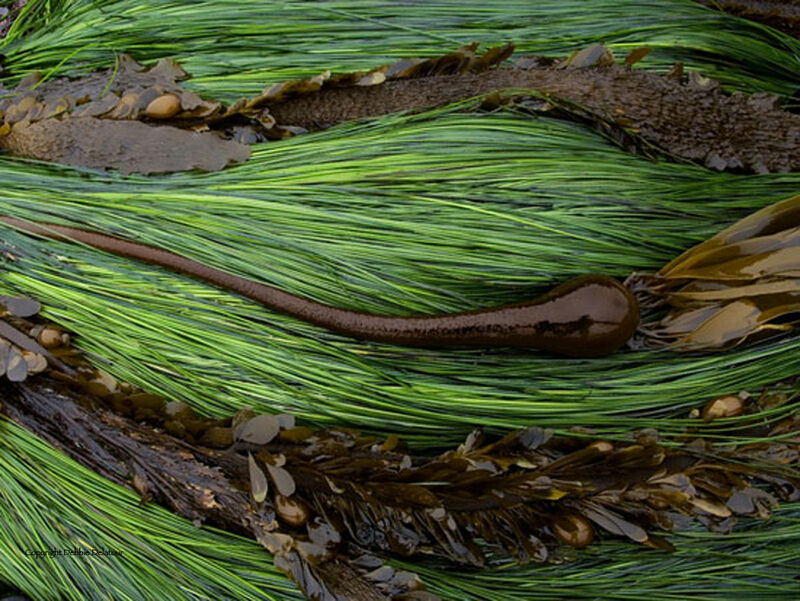 The colors you see in these images are all courtesy of Mother Nature. 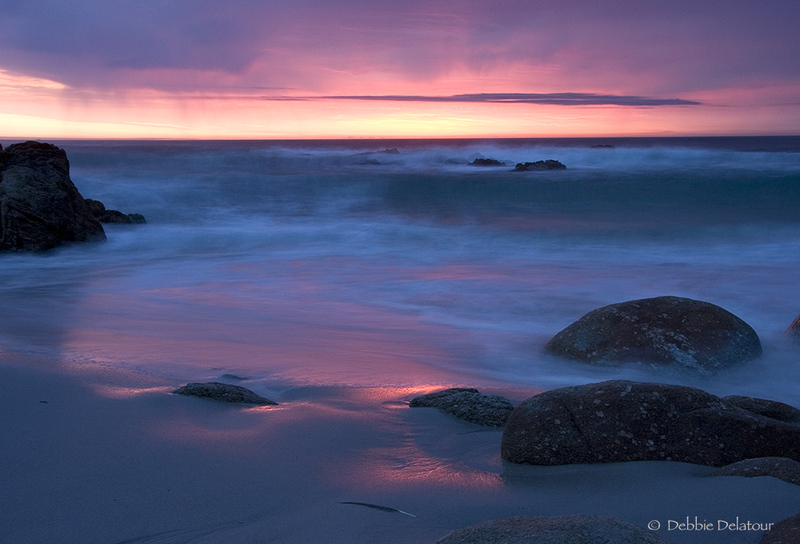 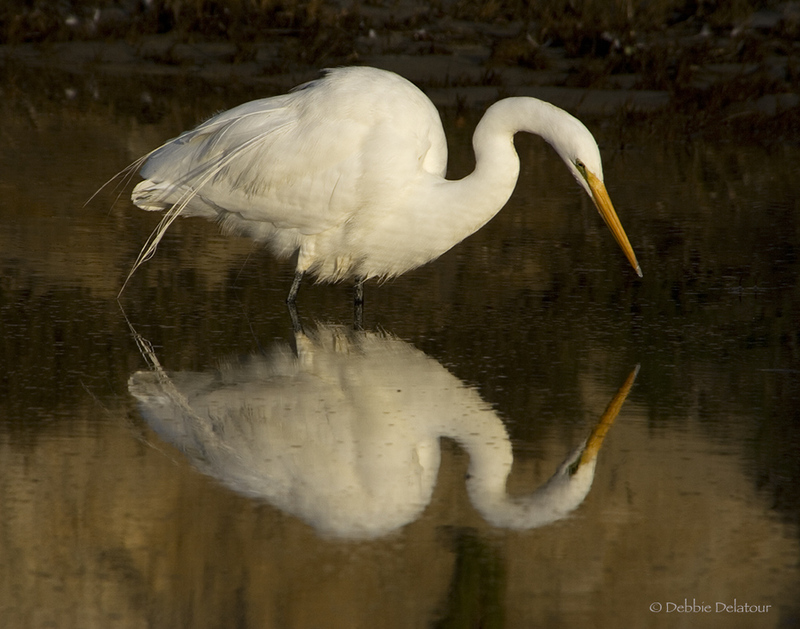 Early morning or late afternoon light and foggy days bring out these vibrant colors. 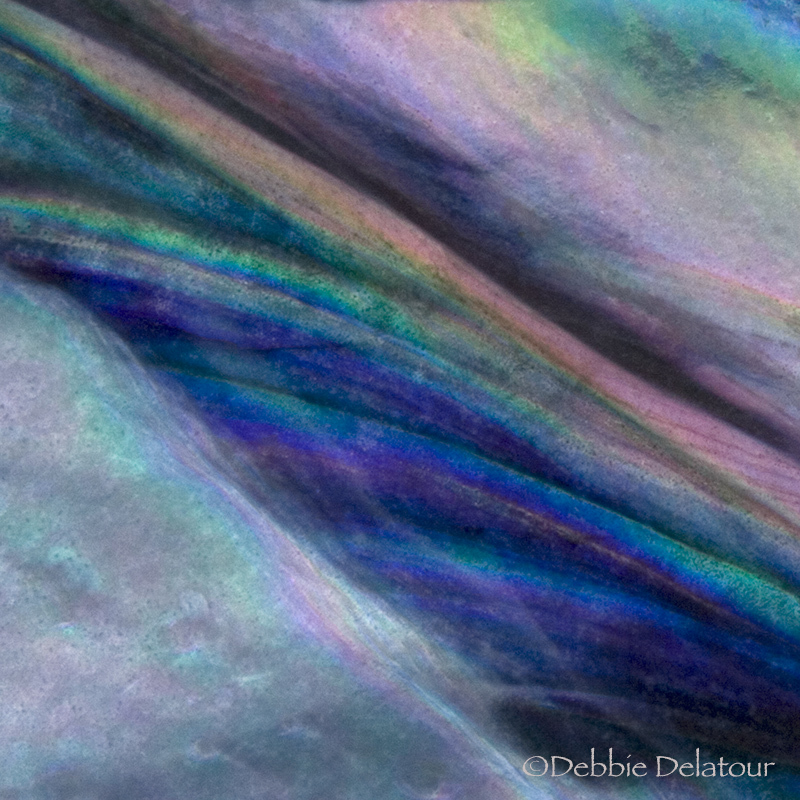 I can honestly say, there are days I feel like I am an archaeologist excavating great treasures!